We’ve completed the first phase to confirm your priorities, but we haven’t stopped listening just because this phase is complete. You can read our report or view your priorities by clicking on the links below. We are required to submit our final business plans to Ofgem by the end of 2019 for the next regulatory price control period (RIIO-2). Although the playback consultation is now closed, you can still send us your views by emailing Gary Stokes on the link below. We are seeking your views on how we plan our business and manage uncertainty against a changing energy landscape. This consultation is aimed at all users of our network, government, regulatory bodies, energy industry professionals and anybody who is interested in the future of electricity transmission for the RIIO-T2 regulatory period which runs from 2021/22 to 2025/26. This consultation concludes 1 April 2019. 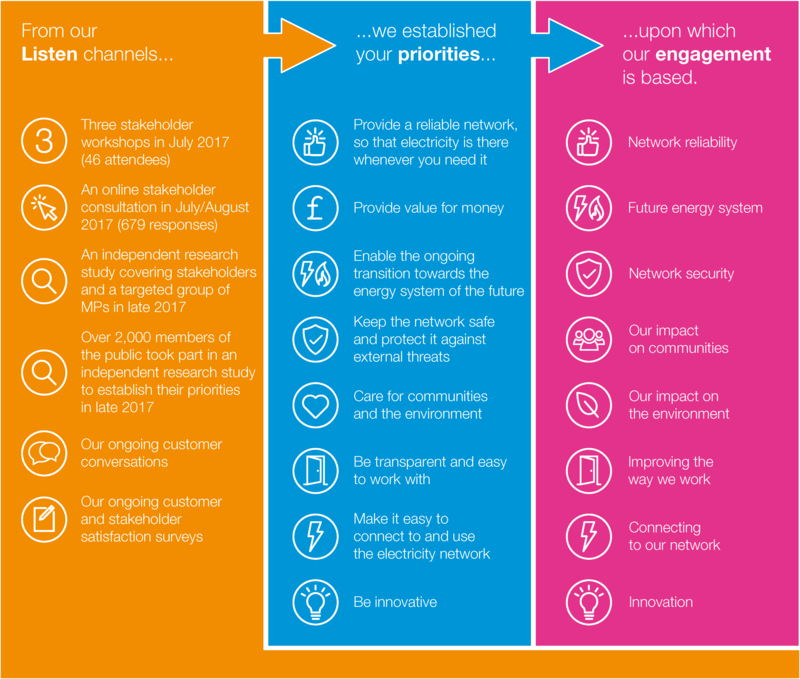 This consultation sets out to describe what National Grid Electricity Transmission (NGET) means by the term “reliability”, how we measure it, and how we can influence the reliability of our network.